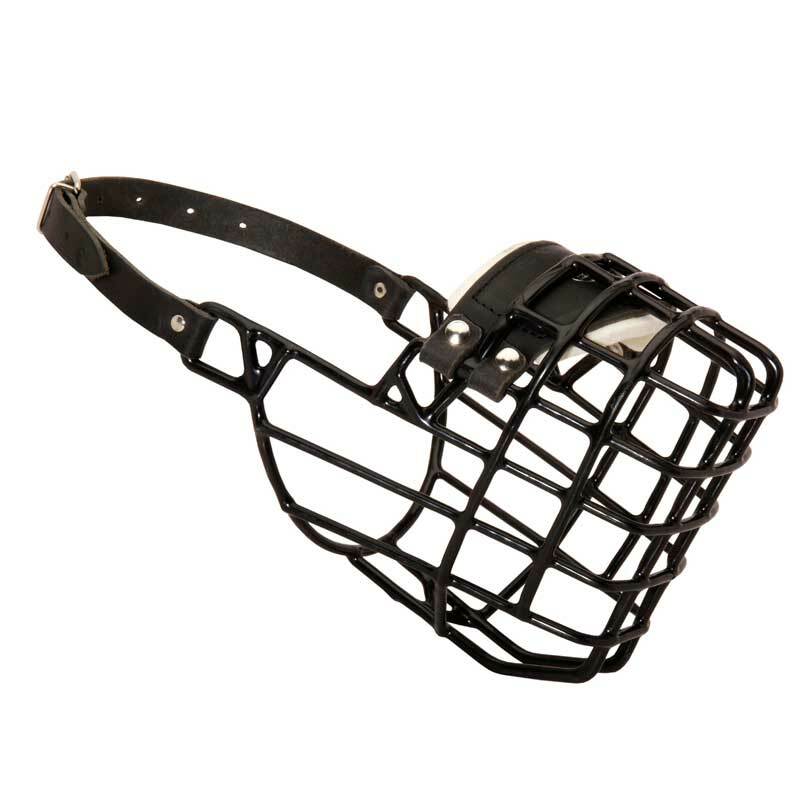 This Dog Muzzle will satisfy all your Rottweiler’s needs. 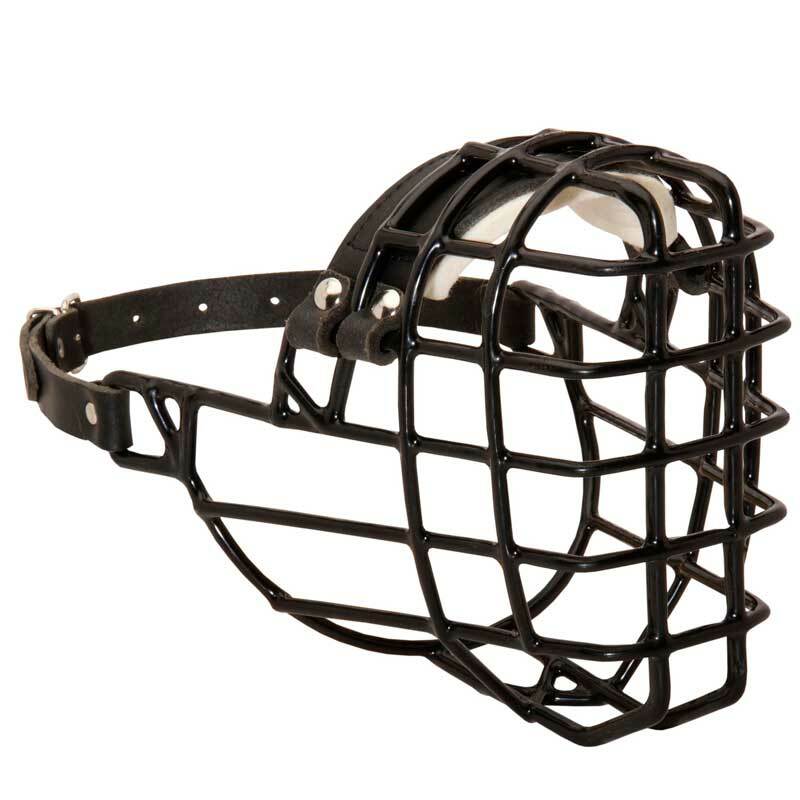 This Wire Basket Muzzle has extra strong wire cage covered with black rubber to prevent sticking of your dog’s snout and tongue when it is cold outside. 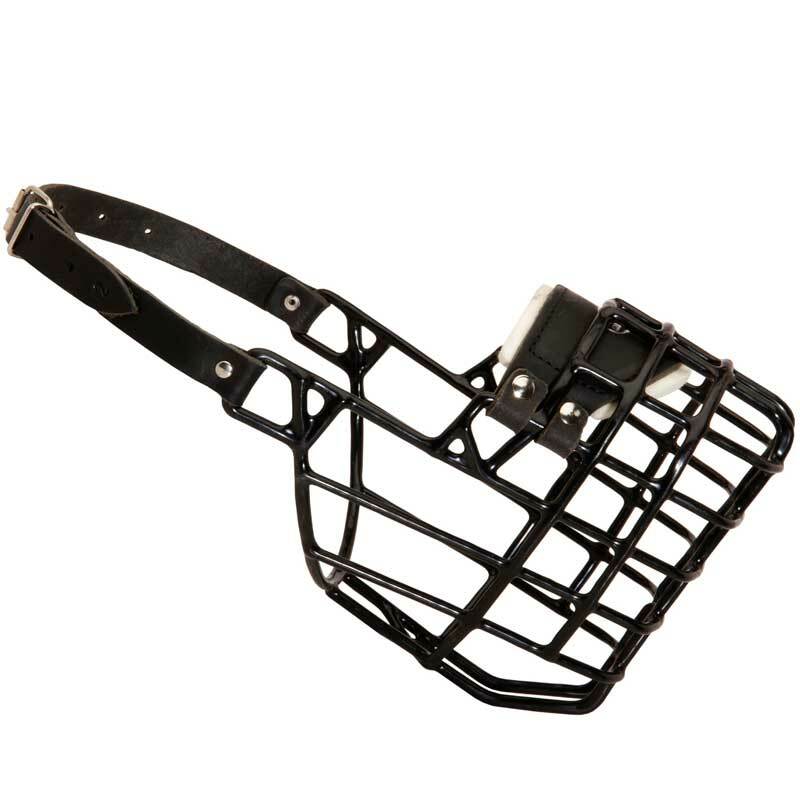 Ergonomic design of this Muzzle allows your dog to breathe, pant, open his mouth, bark and drink water – so he will feel no discomfort while wearing this dog item. 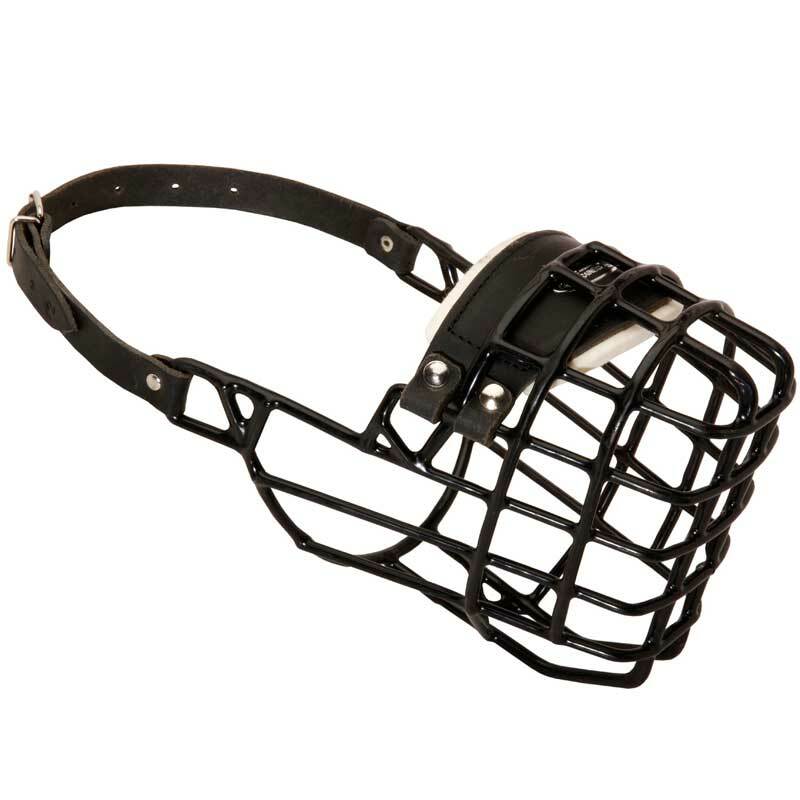 Be sure this Muzzle will help you to protect your pet – it prevents chewing, biting and picking up dangerous things. 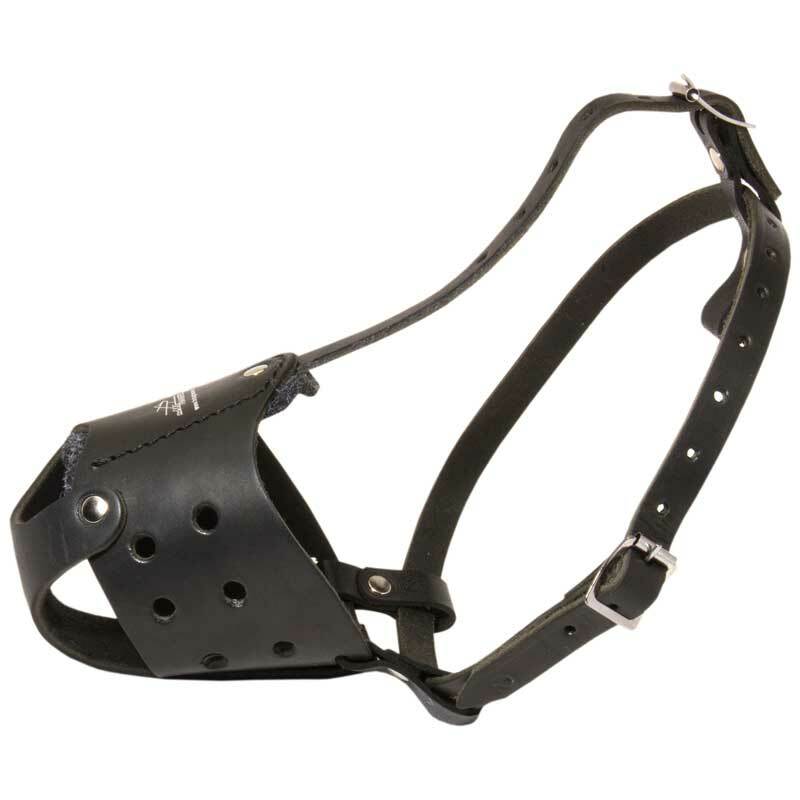 Also it is equipped with one easily adjustable strap, so it would take you just several minutes to fit it snug on your dog’s snout.